The WikiLeaks website has received additional “very significant” material about U.S. military abuses from anonymous whistleblowers and plans to post the documents within weeks, the group’s founder said Friday. 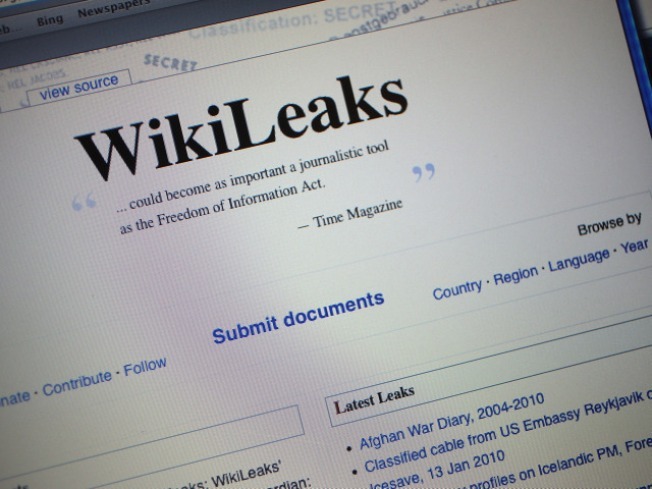 The WikiLeaks website has received additional “very significant” material about U.S. military abuses from anonymous whistleblowers since the publication of its leaked Afghan war logs and plans to post the new documents within weeks, the group’s founder said Friday. In an interview with NBC News, Julian Assange, the controversial WikiLeaks chief, said in just the last few days the website — which aggressively solicits leaked documents from whistleblowers — has received a "wide variety" of fresh material, including documents on the oil giant BP and "internal abuses," including sexual abuse, within the U.S. military. The enormous international publicity given the Afghan documents has “emboldened” more whistleblowers to step forward and contact the organization, he said. Assange’s vow to publicize more internal government documents comes in the wake of furious criticism of WikiLeaks from the Obama administration and members of Congress over its publication of 91,000 classified U.S. documents on the war in Afghanistan — at least some of which appear to identify the names of U.S. and Afghan government informants and cooperative parties in the war against the Taliban. The U.S. military, working with the FBI, also has stepped up its investigation into the disclosure, announcing Friday that it had transferred Army intelligence analyst Pfc. Bradley Manning — described by Pentagon officials as a “person of interest” in the probe — from Kuwait to Quantico, Va. Manning already stands accused of providing WikiLeaks with a video of a U.S. air strike that killed civilians in Iraq. But Assange shot back Friday that if the names of any Afghan informants were identified in the WikiLeaks documents, the U.S. military has only itself to blame for what he said would be a “disgraceful” lapse in security by allowing easy accessibility to such material. While declining to identify any of the organizations sources, he said the documents were available through SIPRNET (Secret Internet Protocol Router Network) — the Defense Department’s standard classified Internet network that is widely accessible to “hundreds of thousands” of soldiers and defense contractors around the world. Even WikiLeaks internally uses “code names” and code words to shield the identities of its sources, he said. At least one veteran former U.S. intelligence officer said Friday that Assange “absolutely has a point” that the identities of Afghan informants should never have been so widely accessible in the first place. “It’s plain sloppy, there is no other interpretation of it,” said Robert Baer, a former CIA clandestine officer in the Mideast. “You never, never, never have the names of informants” in reports that are widely accessible throughout the government. When he was at the CIA, the standard rule was that information about informants was strictly compartmentalized and “stove-piped” so only a handful of supervisors at headquarters would know their real identities, he said. Navy Capt. John Kirby, a spokesman for Adm. Mullen, said the Pentagon is now “reviewing” its policies and procedures that govern how classified information is made available throughout war theaters. There had been an effort in recent years to make more classified information quickly available to troops in the field for tactical purposes, but that “we are now looking at that” to see if procedures should be tightened. It is still unclear — and the Pentagon has yet to address the matter — how many informants and cooperators are actually identified in the WikiLeaks documents. The Times of London, which first reported on the issue this week, alleged that “hundreds” of informants' names were included in the WikiLeaks data. But Assange dismissed that assertion as false. Assange said Friday that he did not know for certain of any documents that contained the names of informants, but a review this week by NBC News producer Scott Foster of the material posted on the WikiLeaks website found several examples that appear to raise serious questions. Assange said that if any news organization found instances where informants were identified in its documents, WikiLeaks would review them and consider taking them down.